The Bunny Runs are a series of four fell races held on consecutive Tuesday evenings after the clocks change in the spring. The course is a sinuous but fast 3 mile route around Penistone Hill outside Haworth. 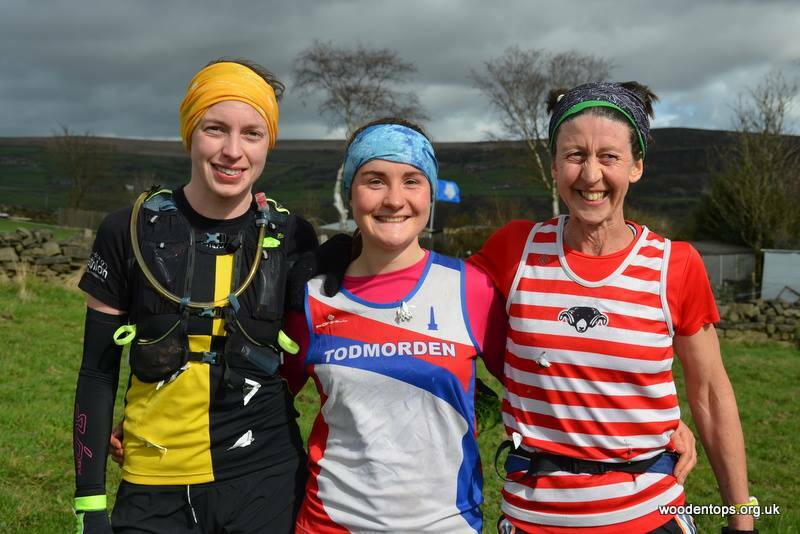 The first one this year was on the second of April and, as a counter in the Calder Valley Fell Runners Senior Championship, several runners headed over the moors to take part. However the Juniors stole the show with Under 15s Elijah Peers Webb first back for CVFR in 22nd place in 19 minutes precisely shortly followed two places later by James Duffy in 19:14. First Calder female back was U15 Emilia Wright in 23:01. First Senior was Elina Eday in 24:31 shortly followed by first Calder man, Colin Duffield, in 25:31. Michael Malyon of Baildon Runners won in 16:16, with U15 Amelie Lane of Wharfedale Harriers first female in 17:48 and a superb 9th place. What a monster! 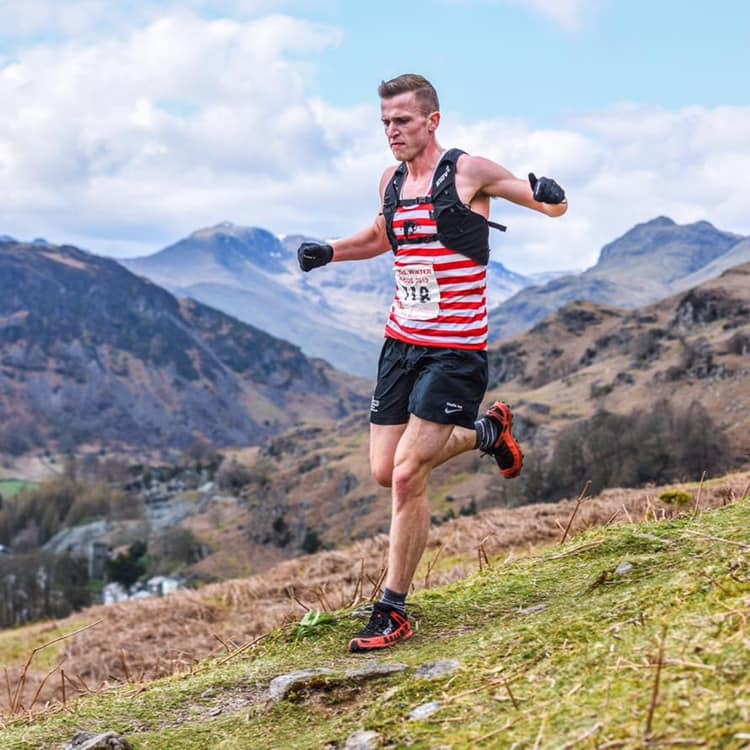 With nearly 7000ft of climb in just over 14 miles this was never going to be an easy race as the first long counter in the 2019 English Fell Running Championships. The finishing times give away the severity of the climbing, the winner Carl Bell completed the 14.3 miles a couple of minutes under 2 and a half hours. The route takes in all the major hills in the southern half of the Howgill Fells. Starting in Sedburgh runners ascend Crook followed by the flanks of Arant Haw, the col between the Calf and Calders, skirting the top of Cautley Spout, the highest waterfall in England at 650ft before ascending Yarlside. A super steep 1300ft descent was taken by most runners sliding on their backsides before climbing Great Dummacks followed by Sickers Fell, a second visit to Arant Haw before the final climb of Winder. Bear in mind that between each hill top the course dropped to a valley bottom. Karl Grey was first back for CVFR in 8th place and 1st V45 in 2 hours 34 mins and 38 seconds. Another top notch performance from Grey. Darren Key was 29th and Adam Osbourne 40th. New recruit Charlie Ing was 96th in 3 hours 16. The relentless course took it toll with Jonny Croston swearing he would never do the race again. Over 10% of the field did not finish. Harry wasn’t pottering around at Pendle!!! On the lovely slopes of Pendle Hill and with great fell running routes CVFR juniors did battle for points in their next club championship race. There was some spell binding results for our racing snakes. First up was the under 9s and Harry Cliff yet again impressed with another win in a time of 3 minutes and 14 seconds. In the same age category his younger sister Lottie, who’s only recently started fell running, ran well to place 18th and 5th girls overall. Hotly contested was the under 11s with Clara McKee taking 2nd overall and first girl in a time of 4 minutes and 29 seconds with Joseph Stone chasing hard only 5 seconds behind her to take 3rd overall and 2nd boy. Sam Annison is running well taking 11th in 4 minutes 55 seconds, 17th place and fine run from Leo Hackett in 5 minutes and 10 seconds with Ted Parker in 25th place a further 20 seconds behind. In the U13s George McFie had an excellent run in 7th place in a time of 14 minutes 46 seconds to take full club championship points. 10th place for Charlie Pickens in a time of 14 minutes 54 seconds with Thomas McKee putting in a good time of 15 minutes 19 seconds to take 12th. Younger Pickens called Ollie was 23rd in 16 minutes 15 seconds and 40th place for Wynn Standish in 17 minutes 22 seconds. In 66th place and 24th girl but showing true fell running grit was Olivia Falkingbridge who struggled the end of the race in 24 minutes 26 seconds after twisting her ankle. This was all to get her club championship points. The U15s saw Tom Owen having one of his best races to date placing 6th overall in a time of 19 minutes and 41 seconds. An ever improving Elijah Peer-Webb was 9th in 20 minutes and 6 seconds with Emilia Wright in 27th and 10th girl in 23minutes and 35 seconds. In the senior’s race Trudi Entwhistle was first back for Calder in 88th place and 2nd v40. Chris Holdsworth and Catlin Rice, both of Ribble Valley Harriers took the honours overall. New recruit Charlie Ings won the Kendal Winter League Series clocking up 679 points from a series of 10 Lakeland races over the last 3 months. He ran the last race in the series on Sunday, Elterwater Common, finishing an impressive 3rd. Fell races don’t come much more picturesque than the Elterwater course. Considering its 3 mile length it seems to contain all possible terrain with flat grassy tracks, steep rocky climbs, fast runnable descents, bogs, loose rock etc. Starting at Elterwater Common it is an out and back course to the summit of Silver Howe. And Charlie flew round in a mere 24.07 minutes! Certainly one to watch out for! 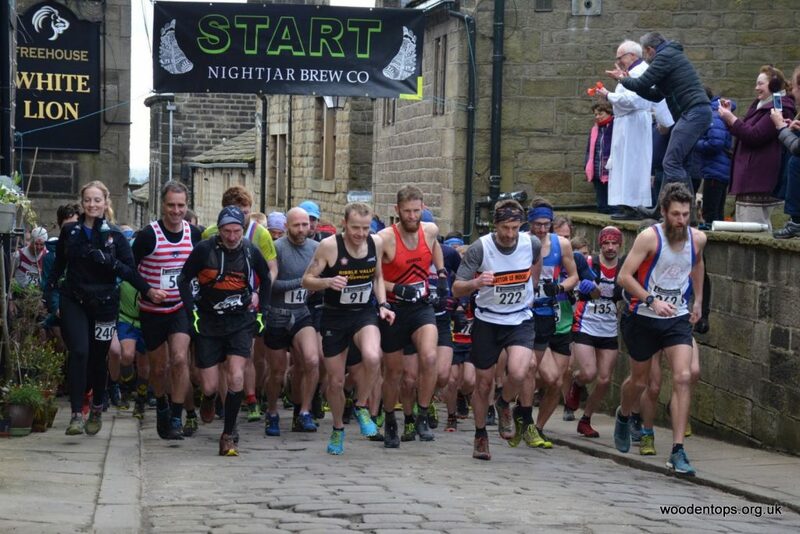 Heptonstall – Sunday, 24th March 2019 is a big day in the local fell racing calendar, with the 15.4-mile, Heptonstall Fell Race. This event packs a punch and runners need navigational skills alongside plenty of stamina to make it around a course that is only partially flagged, and includes steep-sided wooded valleys, upland pasture and pathless moorland, thick heather, deep bogs and a lung-busting 3170ft ascent. The consensus was that it was a beautiful day for a race with some brutal climbs, and stunning views that would take your breath away (if you had any left after the gruelling climbs! ), but that it was all worth it for the post-race black treacle flap jack! 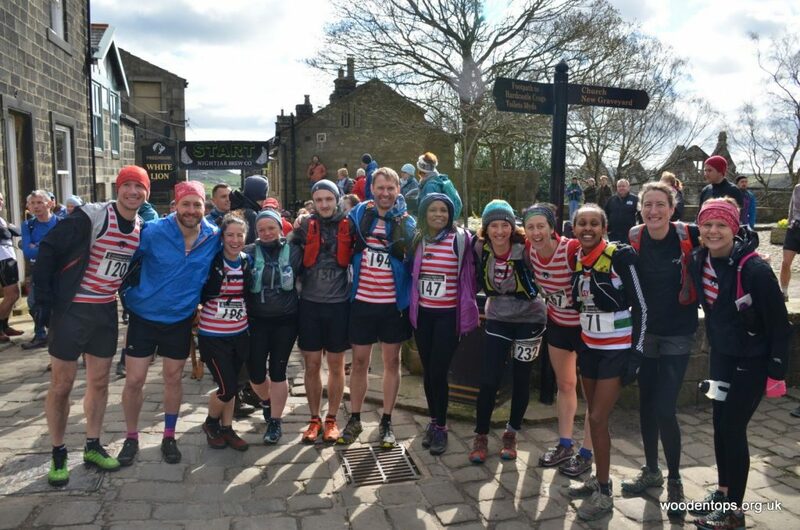 A firm favourite with Calder Valley runners, this year, the race attracted runners from all over the North, beating its previous record entry by far, at an amazing 290 runners. 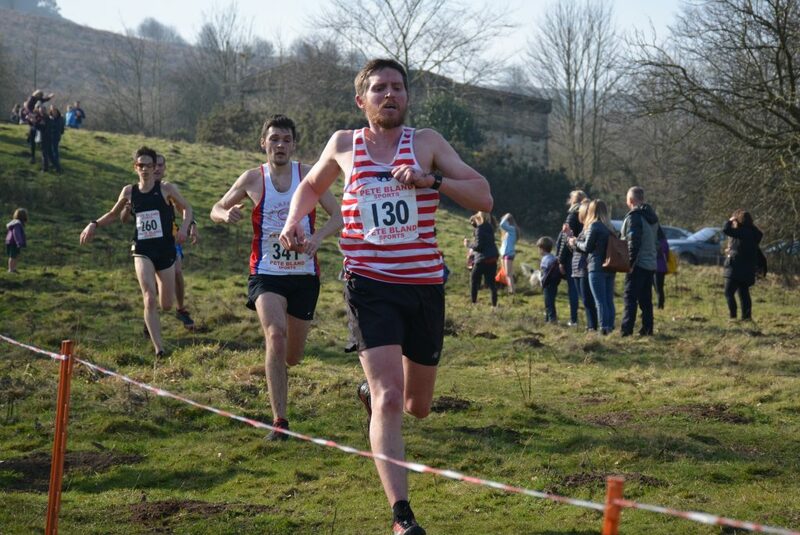 It was a hotly fought battle for first place – Phil Marsden (Horwich RMI Harriers)’s finish time was the 3rd fastest recorded over nine 9 editions, but he finished only seconds ahead of second placed, Robin Howie of Wharfedale Harriers. 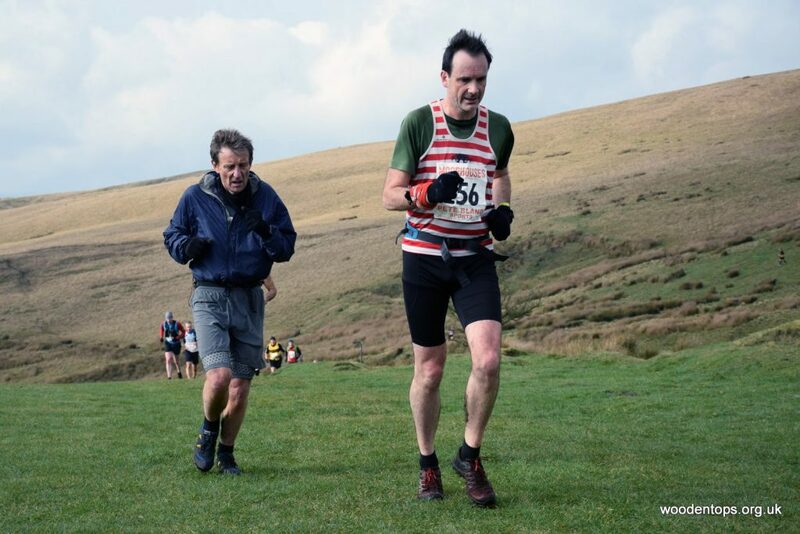 Dark Peak’s Max Wainwright came in not far behind in third place, with a record 10 runners managing to come in under two hours (including CVFR’s Martin Howard in 7th place overall), demonstrating the quality of the field. Strong runs were also recorded by CVFR’s Jonny Croston (27th overall – 8th in the MV40 category) and Iain Illstone (42nd). All proceeds from the race (around £2,500) will be donated to the Scouts, Church, and Calder Valley Search and Rescue. In addition, having noted a few stiles on the route in need of repair (already down or damaged before the race), the race organisers are looking to make a donation to CROWs – Community Rights Of Way Service – a voluntary organisation with an interest in ensuring that local Rights of Way remain accessible. This year’s event also had special significance for veteran race organiser, Stephen Grimley, who after 9 years of fronting this homespun event, was able to leave it in the capable hands of friends & neighbours (aka ‘The Hurriers’) and take part in a course he had heard so much about over the years. Delighted to don red & white racing hoops & celebrate ‘going over the hill in style’ Grimley ‘loved every minute of it’, with ‘the icing on the 50th cake being taking a bow to a chorus of happy birthday from the gathered masses’. 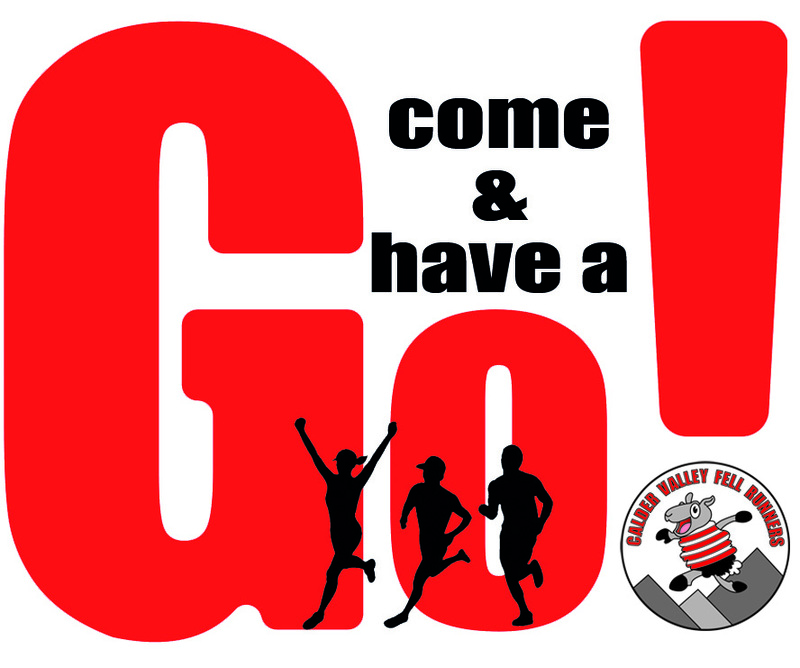 Other significant Calder Valley results over the weekend included a number of shorter races; Darren Earnshaw’s came 7th in Storthes Hall Park Run, Ben Cliff’s improved on previous results with 6th in the Halifax Parkrun and Elliot Corner placed second in Centre Vale’s park run. In addition, CVFR newcomer, Charlie Ing came an impressive first place at Helm Hill – a race just short of 5 miles – part of the Kendal Winter League series races – Ing finished over a minute in front of his nearest competitor, with a fastest time recorded for any runner on every segment of the race – definitely making him one to watch for the future. Saturday 2rd March also saw Junior Calder Valley runners Charlie Pickens, George McFie, & Tom Owen competing at the National Minor Schools Cross Country Championship, outside Loughborough. In a field approaching 200 in a race run at a cracking pace, CVFR provided more than a quarter (3 of 11) of the West Yorkshire Team, with the boys finishing a noteworthy 81st, 111th, & 126th respectively. 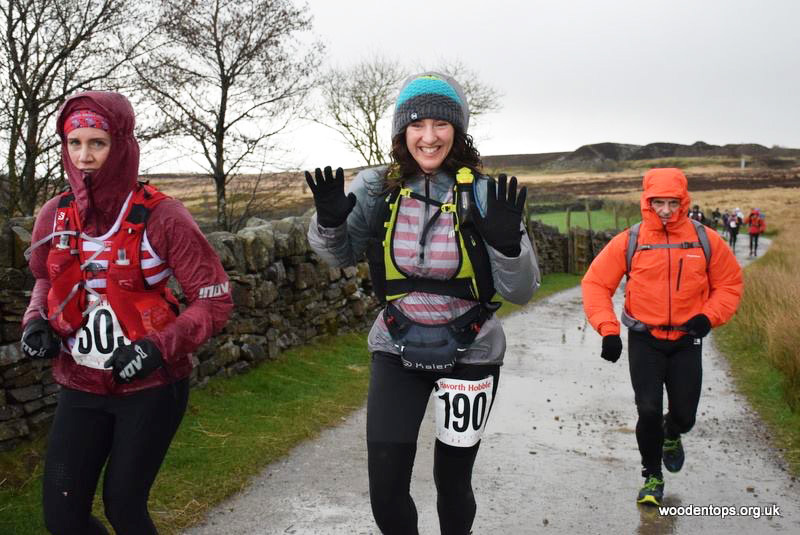 The February heat wave was firmly extinguished as the weather decided to give the 300+ competitors (solos and pairs) an even greater challenge at the Haworth Hobble on Saturday, as if 32 miles off road wasn’t sufficient. Calder Valley was well represented and first back, 15 mins off the winning time was Kevin Hoult in a time of 4hrs 37 mins, 5th overall. Kevin has completed the hobble several times and has been awarded the keys to the city for his efforts. Next to return, just under 5 hours was John Allen who said the course was a bit flat for his liking. And only 3 mins later, Michael Hyde returned to the fold. The first Calder females to complete was Jackie Scarf as part of a F50 winning pair. First solo back was Elina Eady, out sprinting her rivals to finish in 7hrs 17 mins. The final CVFR home, and still drying out, was Carolyn Shimwell, and Diane Wright in a time of 8.31, with no coffee breaks permitted. A six mile race with 1700ft of climbing Lad’s Leap is run from the Crowden Campsite just off the Woodhead pass. The race visits the rock formation of the same name that looks over the Peak District’s Longdendale. Toby Sydes running for his beer!!! A healthy turn out of 252 runners ran in great conditions with some blistering fast record breaking by the record holder Rob Hope, 1:05:03 although 2nd & 3rd beat the previous record too. 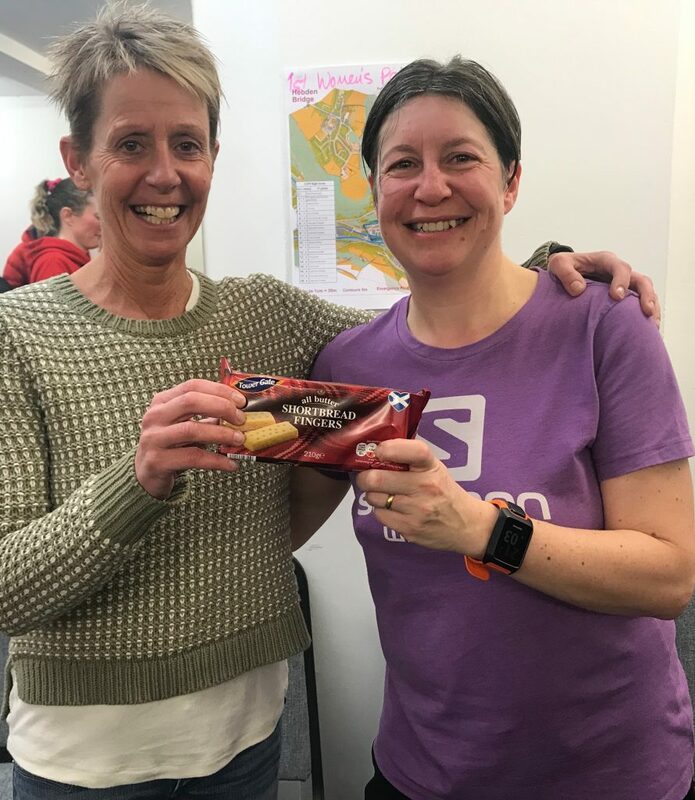 The Ladies were chasing record breaking pace as well, with Lindsey Brindle smashing the previous best by 9 minutes in 1:15:22 with 2nd & 3rd also coming under the previous record. The race is a sensible 11 mile circuit of Pendle Hill with no gratuitous descents, just one big climb to the trig point on Big End followed by a tour of the moor. Calder’s Darren Kay was 6thin 1:08:22. Toby Sydes, enticed to race by the free bottle of beer promised to all finishers, was 124thin 1:33:24, Calvin Ferguson 139thin 1:34:28 and Steve Smithies was 199thin 1:45:46. 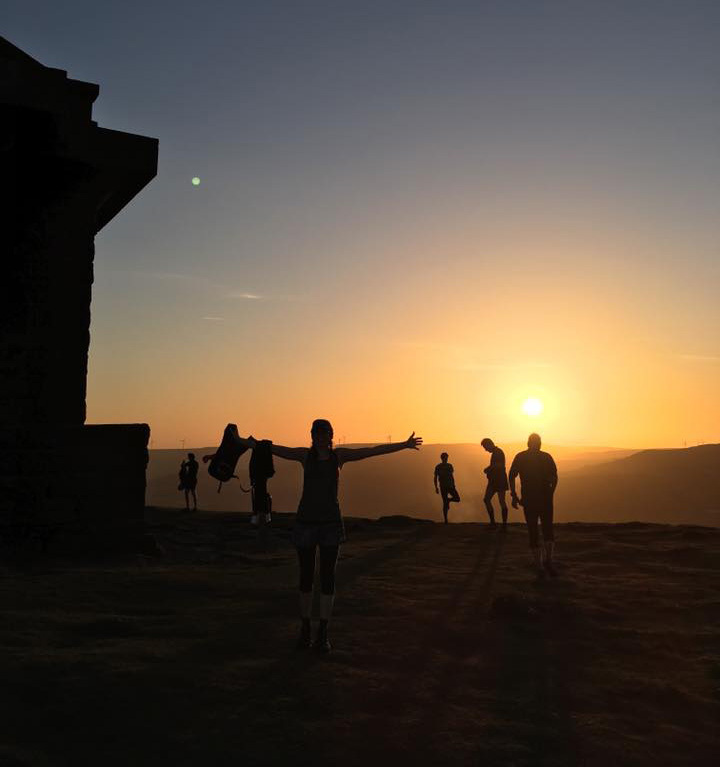 The High Peak Marathon is an over-night mountain marathon for teams of four which follows a route based on the Derwent Watershed over the high moors of Derbyshire. This classic 40 mile bog-trot around the wildest part of the Peak District was first completed in 1918 by Eustace Thomas of Manchester’s Rucksack Club. The High Peak Marathon was first organised in 1972 by students from Sheffield University. This was their idea of a challenge – to take one of the Peak’s longest, toughest routes and see who could complete it, at night, in winter. A unique feature of the event is being greeted by a couple of cheerful students at every checkpoint. 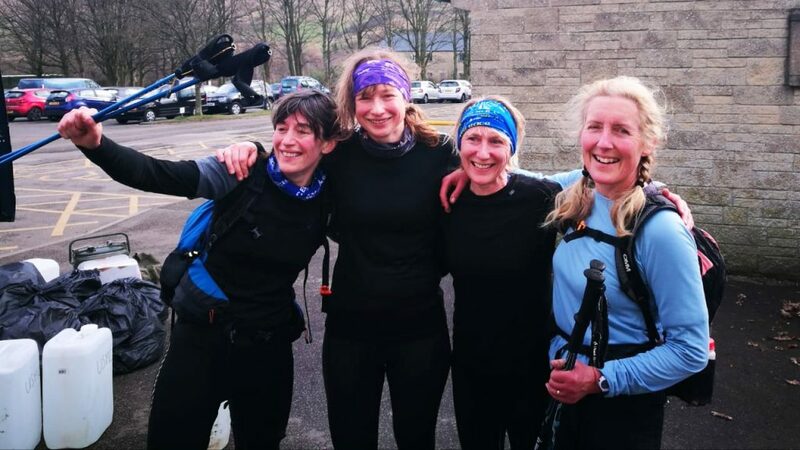 Several members of Calder Valley Fell Runners took part this year. 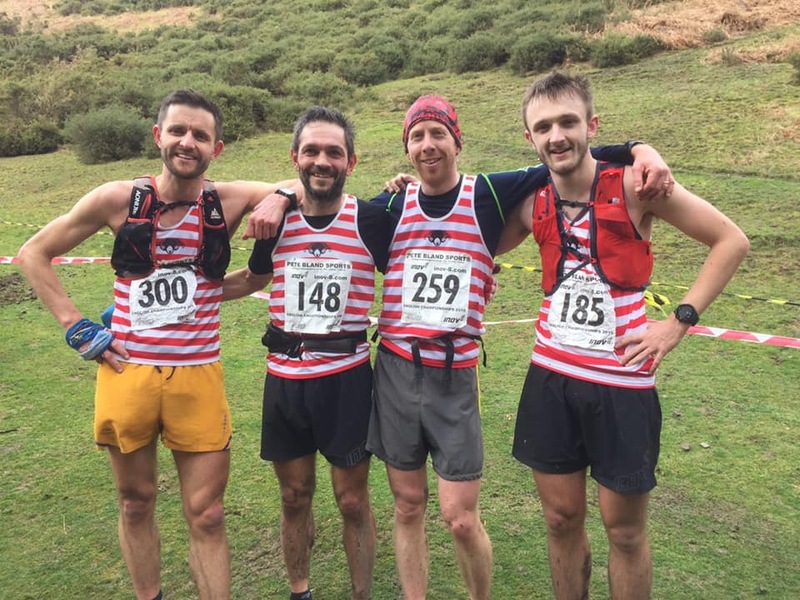 Simon Fisher, John Allan, Dougie Zinnis and Jack Rose took 11hours 37 minutes and 33 seconds to get round in 18thplace, despite some navigational hiccups. They were just three hours behind the winning team that included this year’s Spine race winner, Jasmin Paris. Doug Gurr and Phil Scarf were in a non-competitive team that finished in 12:19:26 and Jackie Scarf’s team completed in 13:53:58 and 37thplace. Last weekend on the Spring like Sunday saw a gaggle of fell runners gather at Booth cricket club for the annual Midgley Moor fell race. Organised by Calder Valley’s Graham Davy it’s a fundraiser for Springhill Hospice, Rochdale. It’s a challenging race involving route choice on paths and moor covering 5 miles with 1250ft of ascent. 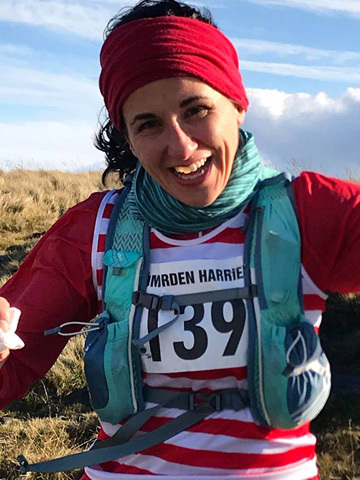 Calder Valley didn’t go home empty handed with Rachel Johnson scooping first female prize and young Martin Howard came second overall in an impressive 40:56. The overall winner was Harry Holmes from Matlock in 39:58. The Juniors were out in full force at the weekend, making the most of the unusual Feb conditions. Luckily the mist cleared to provide perfect running conditions at the very popular Ilkley Moor Fell Race with these races providing excellent tough courses for all ages groups. Fondly known as the “racing snakes” group this was the first championship race for Calder Valleys junior who enjoy going to races. Have a go Dads also took part in the fun with Iain Illstone and Ben Cliffe both racing in the seniors Ilkley Moor fell race, a 5 mile circuit staged by Ilkley Harriers. Renowned as a tough winter race, it consists of steep, slippery and rocky descents. With over 260 runners, Ian finished 21st in 44:18, and Ben 105th. Jon Smith was first CV home in 15th place in an impressive 43:22. 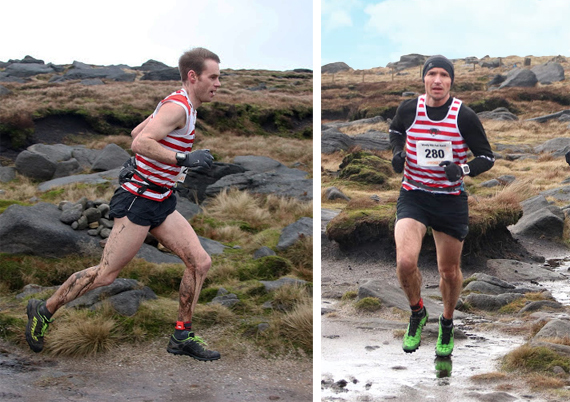 On the fells this weekend, red & white-hooped runners Stuart Russell & Calvin Ferguson competed at Bleasdale Circle Fell Race on Saturday 16th February. This five-mile race from Bleasdale Parish Hall, includes 1250 feet of climb to Paddy’s Pole, and Parlick, before a steep & technical descent to the last 2km along track & across farmland. A fast-race in dry conditions made for some great running, veteran runner Russell finished 56th overall in 48 minutes 51 seconds and Ferguson 93rd in 54:48. Away from the fells, on Sunday 16th February two of CVFR’s ladies took part in races in the grounds of Yorkshire’s historic Harewood House. Competing in the popular off-road half-marathon along an extremely hilly route along trails, tracks, through fields & up steep forest inclines, Heather Pritchard ran a strong race to finish the 13.1 miles in 2h07 & 50 seconds. In the 10km, one of CVFR’s newest club members, Abbi Fernley finished in 1:02:22 – despite starting right at the back of the queue & having to battle past the fun runners. Also running a half marathon this weekend, CVFR’s Elliot Corner flew the CVFR flag at the Great Northwest half, finishing his 13.1 miles with a personal best time of 1hr 22min, & placing a noteworthy 20th overall. 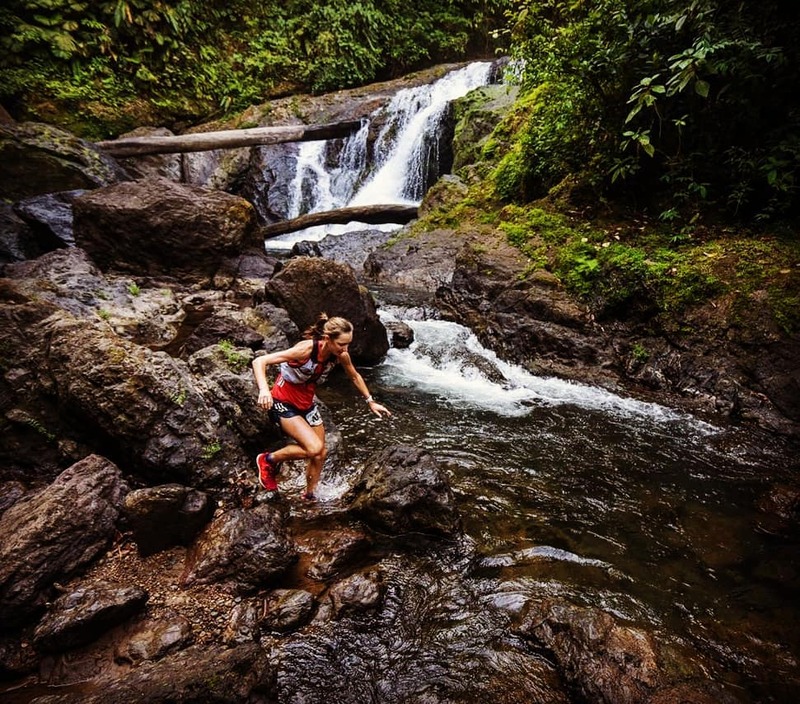 Further away from home, Calder Valley’s international runner, Holly Page, competed in 15th Coastal Challenge race along Costa Rica’s tropical Pacific coastline. Having run through jungle, rainforest and across mountain trails, as well as along single tracks across ridge lines, through highlands and coastal ranges; beaches, rocky outcroppings, reefs, and river and estuary crossings, the final leg of this race this last weekend saw runners finishing on Drake Bay on the Osa Peninsula, in Corcovado National Park – a Unesco World Heritage site – in a fishing village until recently only accessible by boat. As the top six runners had a staggered start, the last leg of this race is unusual in that none of them really know how well they were doing in comparison to each other. Holly reports how rather bizarrely despite having already completed 200+km of running, her legs still felt good. She was not only the first runner to cross the line – holding off the other top-5 runners and catching all those who were ahead of her at the beginning of this last leg, but in the process she also set a new stage course record (in addition to her female course record on stage 4) – ‘a nice way to end an awesome week with wonderful people in wild surroundings – so many great memories! 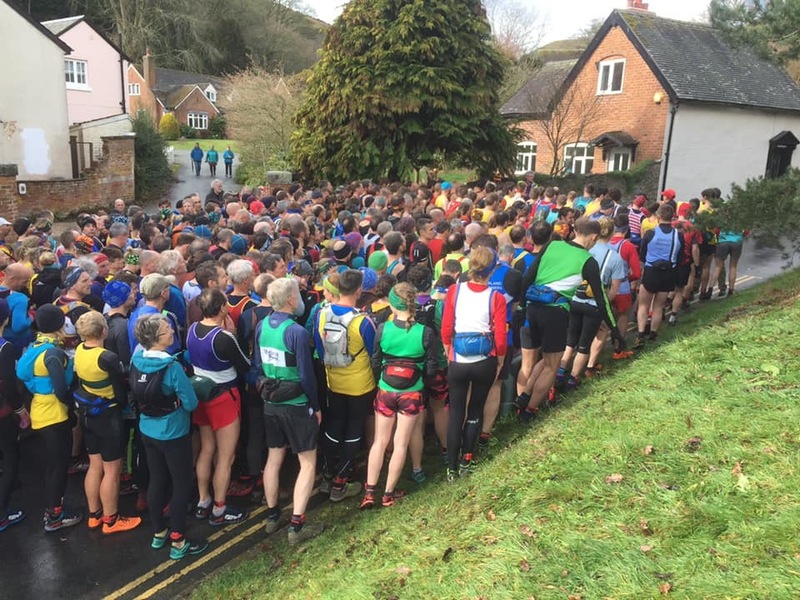 With Storm Erik forecast this weekend, Windy Hill Fell Race lived up its name. 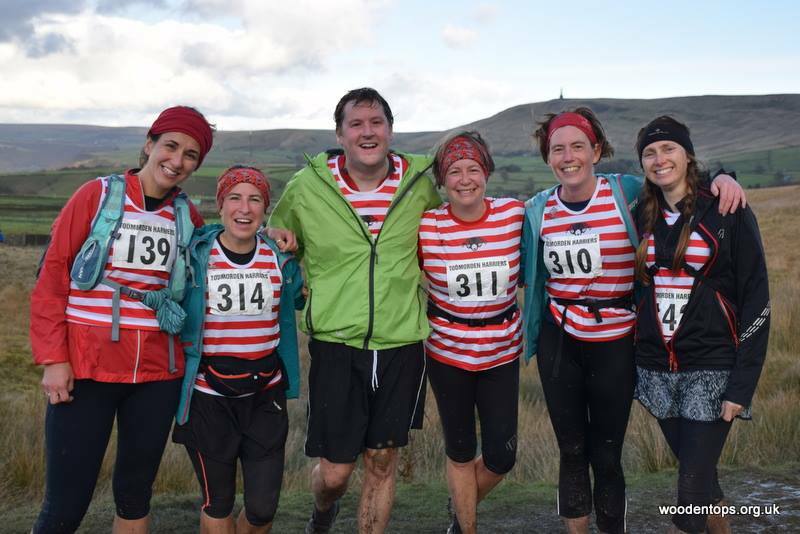 Seven CVFR lined up at Hollingworth Lake, for this popular, 9 mile race which climbs 1281 feet over the Pennine Moors with fast runnable tracks, and a memorable ascent. Calder Valley men worked well together to scoop the first men’s (Alex Whittem, Jon Smith, Elliot Corner) and third men’s (Michael Hyde, Stephen Smithies, Darren Earnshaw) team prizes. Alex Whittem was 5th overall in his first race back in a while and Jon Smith, 9th, also winning 1st V40 prize. 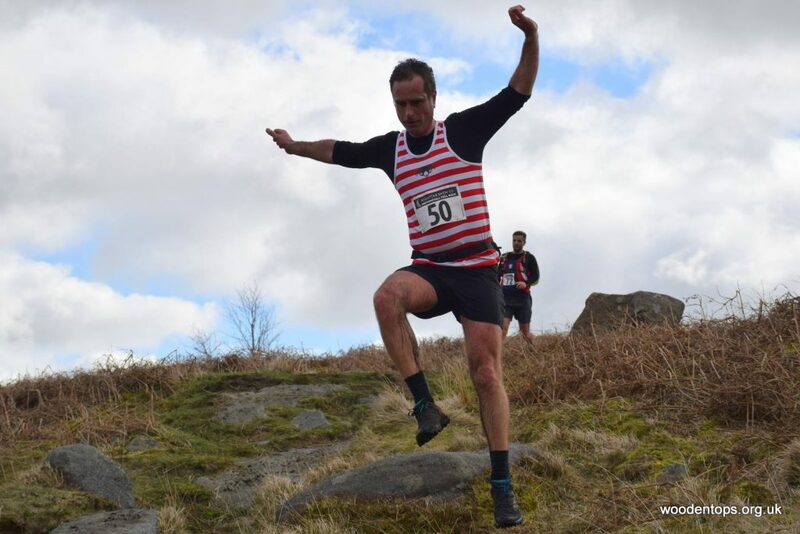 Calder Valley’s club champion, Jonny Croston ran well to finish in the top five at the tough 12 mile Doctor’s Gate Fell Race, which starts and finishes in Glossop, with over 2,800ft of climbing. Mytholmroyd and Hebden Bridge were the dual settings for the inaugural CVFR urban night score event this week. Jonathon Emberton employed his considerable orienteering expertise to devise this challenging introduction for his club mates. It proved extremely popular, with juniors and seniors across the age (and navigation skills) spectrum, dusting off their road shoes, and braving the rain to take part in this two centre event. A mass start saw calder valley runners (and some Tod harriers) race to find the 11 compulsory, linear controls in Mytholmroyd before dashing to Hebden Bridge. Relying on honesty, a total of 31 points were now up for grabs across 18 controls, including up in Heptonstall, for those skilled enough to make it back to club HQ within the allotted 90 minutes. An added option to grab three extra controls on their way provided further intrigue. In a hard fought contest, CVFR’s James Logue took first place, back four minutes ahead, though tied at 51 points with three other veteran category runners (Chris Goddard (Tod Harriers), James Williams, Iain Powell). Martin Howard, showed his navigational prowess, in first men’s solo class (6th overall). 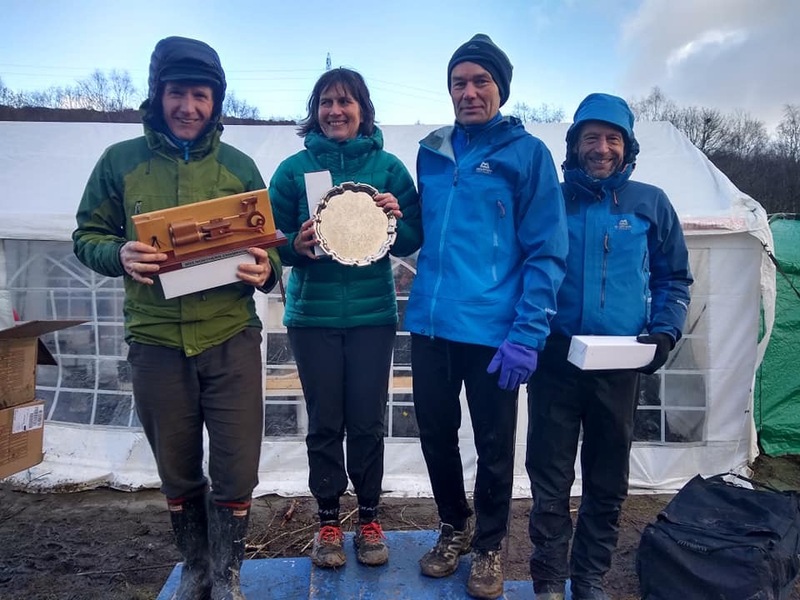 Catherine Holden and Richard Sunderland took first mixed pair (11th overall), Dougie Zinnis and Luke Meleschko first male pair (13th overall), and Jocasta Fletcher and Nicky Latham, first women’s pair (23rd overall).